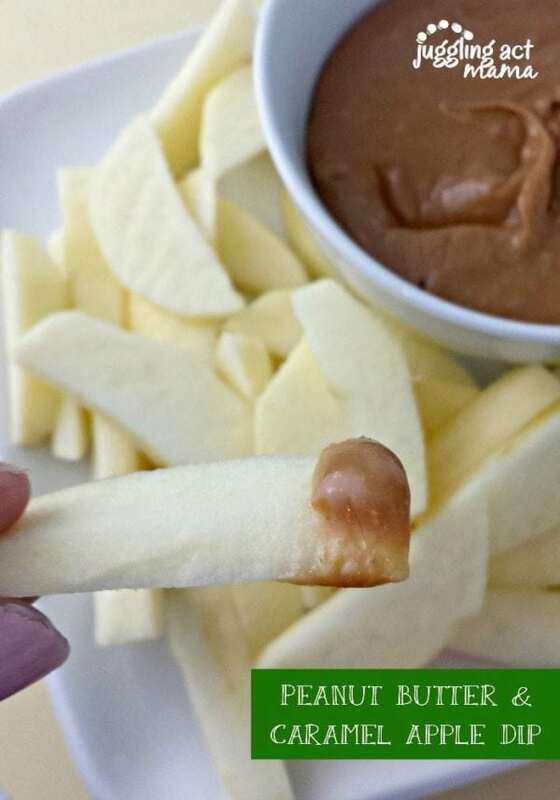 Peanut butter and apples is a common snack in our house, but this Peanut Butter Caramel Apple Dip takes it up a notch for sure! 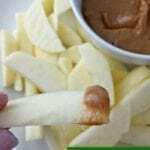 Peanut Butter Caramel Dip is delicious with apples or pretzels! 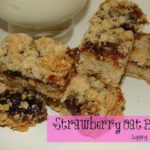 When the kids get home from school, they are ALWAYS looking for a yummy snack. I don’t mind if they have treats now and then, but it’s all about balance. 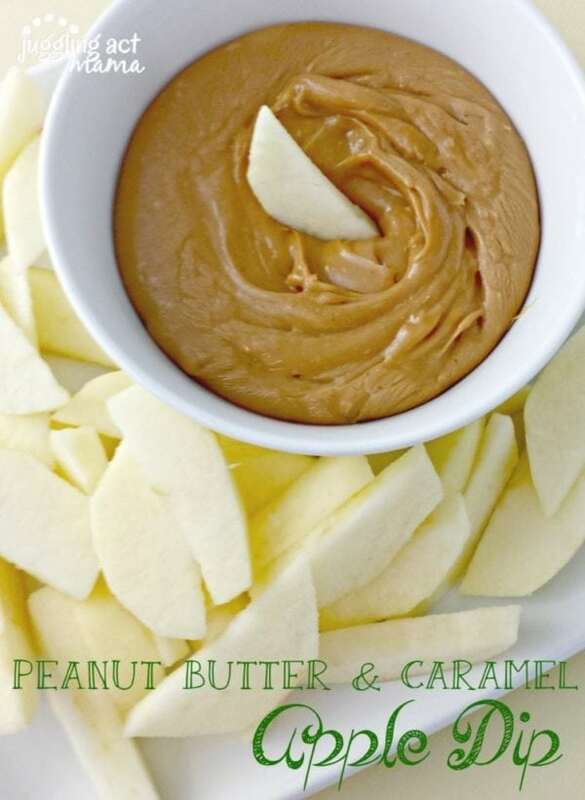 That’s why this Peanut Butter Caramel Apple Dip is perfect. There’s sweetness from the caramel, which they love, and also protein in the peanut butter, which I love. Serving it with slices of apples or pears means they’re getting in a serving of fruit, too. That’s two points for mom! Get the kids in on making this recipe with you. It’s a good chance to chat with them about their day, and reinforce math skills while you’re counting and measuring, too! 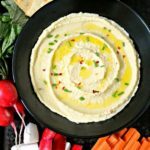 This simple recipe is sure to be a family favorite in no time! It is the perfect balance of peanut butter and caramel. Your kids (and you) will love this!! It’s the perfect after school snack – or really anytime snack! 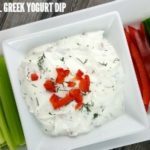 Simple but delicious dip that is scrumptious with apples, pears, and crackers. Stir frequently until the caramels are all melted into the cream (about 8-10 minutes). Serve with pear and apple slices or pretzels. Store leftovers in the refrigerator. For a smooth creamy dip, use creamy peanut butter. 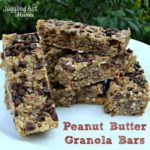 If you prefer the texture of crunchy peanut butter, you can use that as well. You can add a pinch of sea salt, if desired for a little extra flavor. For a beautiful presentation that’s perfect for parties, the top of the dip with chocoalte sauce in a crisscross pattern. Sprinkle the top with toffee chips for an added crunch and sweetness. 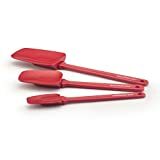 Substitute with other nut butters, or sun butter, as desired. Want more great kid snacks? Hi Patricia! Check it out again, I’ve updated this post with the full recipe, and a few ideas for variations too! I hope you enjoy it!